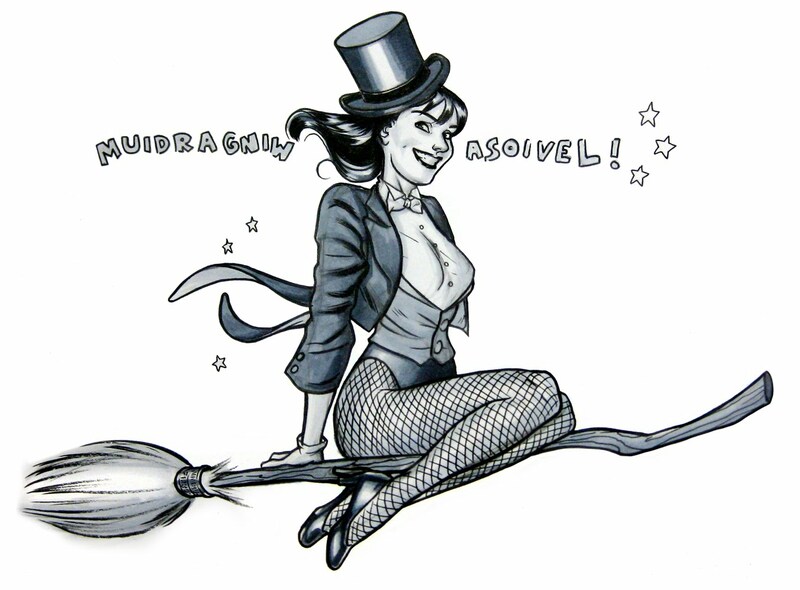 Joe Quinones' interweb-log: Boston Comic Con: LLA ENOD! 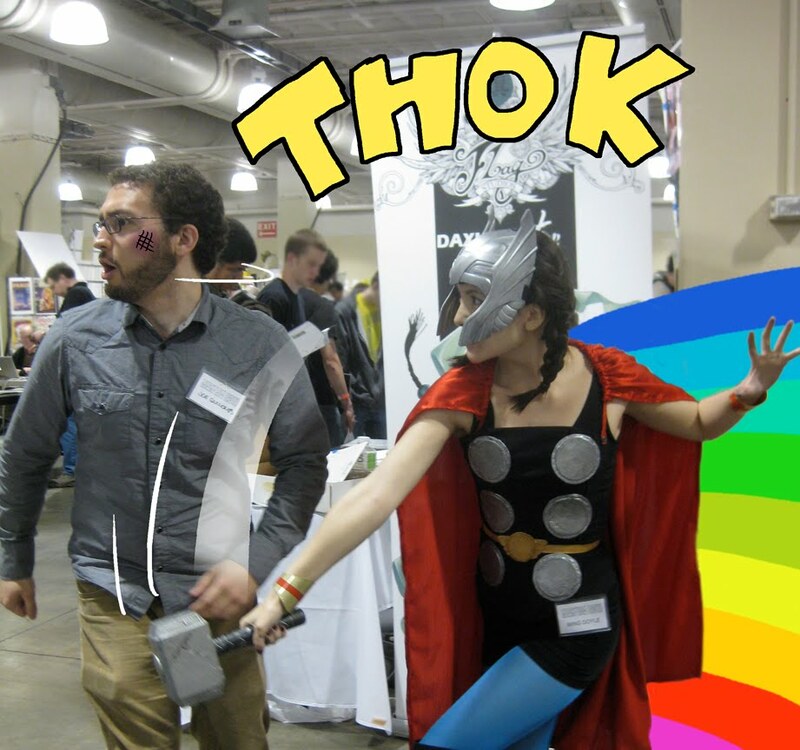 Boston Comic Con: LLA ENOD! I swear I'll stop soon with the backwards Zatanna posts. YLSUOIRES. It's a bit of a callback to this drawing I did at April's Emerald City con. 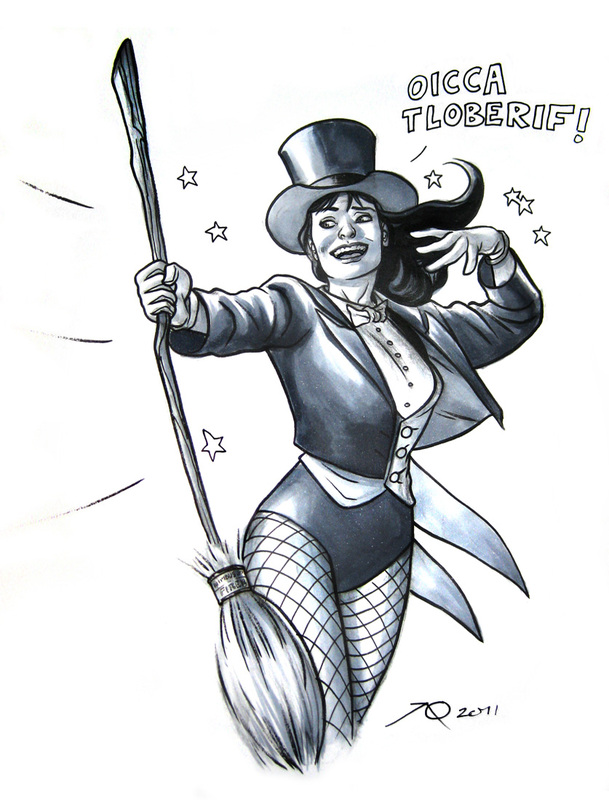 Zatanna's basically gloating now, having snatched away Harry's prized Firebolt. And yes, that's the levitation spell she's speaking in reverse there. NEEEERRRRDDDYYYYY. This was one of several sketches I did at the con which I'll be posting in the coming weeks. YATS DENUT. And speaking of the convention, I had a really great time over the weekend. Thanks so much to every one who stopped by my table. I really appreciated it. It was really exciting to finally meet and/or hang out with some of my favorite artists as well, including Adam Hughes, Dave Johnson, J. Bone, Darwyn Cooke and Stéphane Roux! They're all EXCEEDINGLY brilliant as artists, but also just swell guys to talk to and be around. Well that's all for now everybody, I'll -- OOOF! Seriously though, great seeing her as well. I was really happy to go home with this gorgeous print she was selling over the weekend. So good! Ok. Now I'm off for reals. See you soon, dear readers. Glad you had such a fun show, Joe! It was really fun seeing you too. Hope that face heals up!